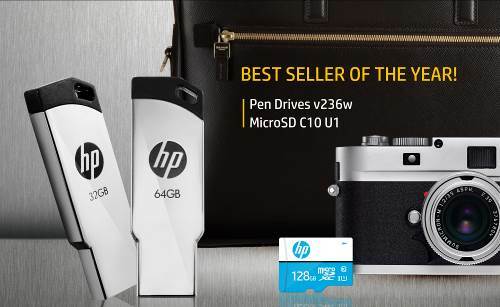 PNY has released the HP x303w to store all your personal and digital files on the go in a stylish and functional storage device. Get 10x lightning fast transfer speed rates of data with USB 3.1 specification that surpass the traditional USB 2.0 that other flash drives possess. 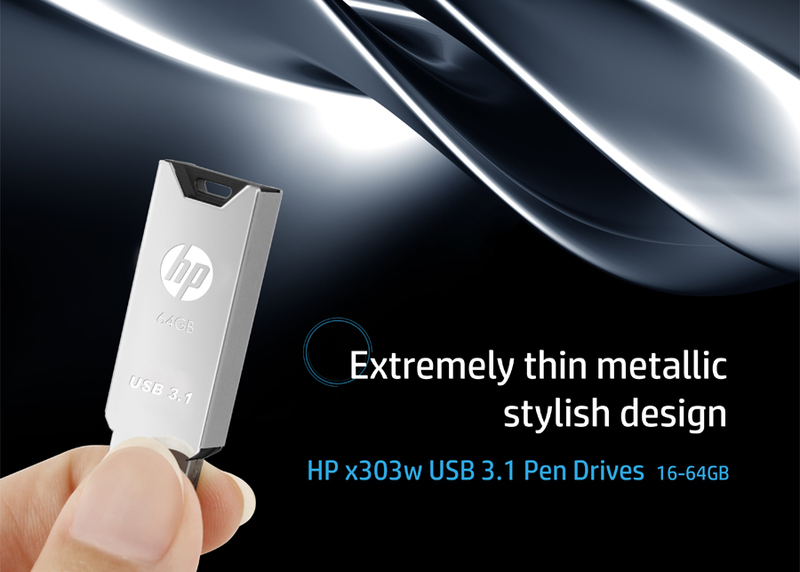 Engraved with the trusted and reputed HP logo, the x303w is the ideal gadget to let you quickly access, store, transfer and procure files from the drive. 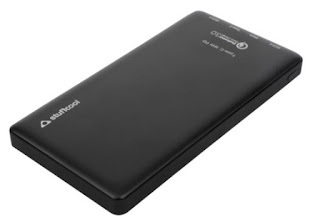 The Stuffcool 720PD is the fastest power bank in terms of both charging smartphones as well as getting charged itself. The Stuffcool power bank is unsurprisingly the lightest and most compact and its build quality and overall feel are really premium. There are four LEDs that light up in white to indicate the current charge level of the power bank and also if it’s charging/ discharging. Another LED lights up in blue when Quick Charging is being used to charge a device or the power bank itself, or if you are in USB Power Delivery mode.The Stuffcool power bank also supports USB Power Delivery, which makes it your best bet if you want to use your power bank to top brand new iPads from Apple. 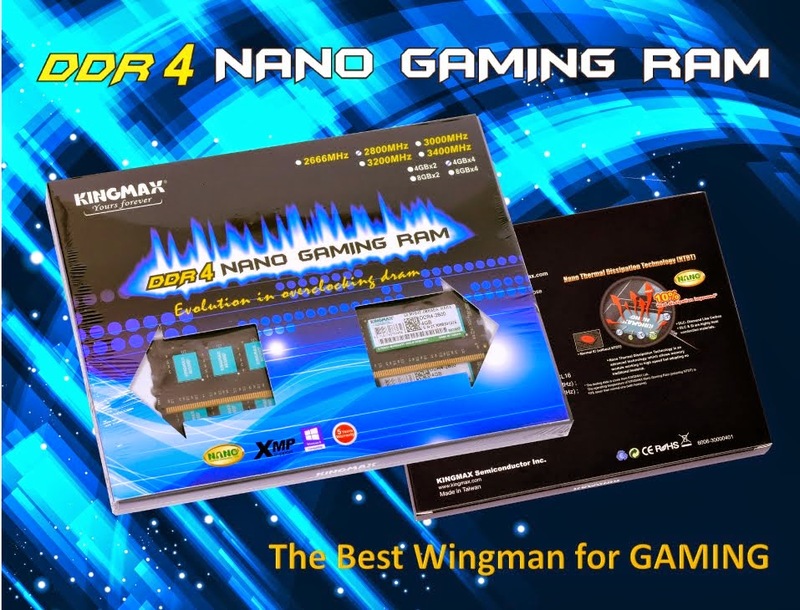 USB Power delivery is a fast charging technology supported by latest iOS/ Apple and Android/ Google devices that delivers much higher level of power than normal 5-10W charger. USB-PD can charge your device up to 70% faster than normal 5W charger. The power bank also protects your devices from over charge. Fortinet, a global leader in broad, integrated and automated cyber security solutions, today reminded online shoppers and bargain hunters to keep their mobile devices secure and stay vigilant against cybercriminals, before participating in Alibaba’s “11/11” Singles’ Day − the world’s largest online shopping festival and the ongoing Diwali festive sale.Alibaba’s upcoming annual Singles’ Day sale, which will take place on 11 November 2018, is expected to spark off numerous online retail carnivals across the Asia Pacific region. In 2017, the “11/11” carnival rewrote the record books when it generated US$25.3 billion sales in one day. Due to the high mobile phone penetration, consumers across APAC are increasingly relying on their smart mobile devices and tablets to conduct online transactions from e-banking and e-payments to e-hailing and a myriad of online mobile shopping apps. According to Mastercard’s Mobile Shopping Survey 2017, mobile shopping is registering higher growth in APAC’s emerging markets, outpacing their more developed counterparts. Consumers in the Philippines (53.5 percent) and Malaysia (55.6 percent) topped the region with the highest year-on-year growth; while consumers in India (75.8 percent) was the region’s top mobile shoppers, having made at least one purchase through their mobile phones in the three months preceding the survey. China’s mobile shoppers remain a close second at 71.4 percent, followed by Thailand at 65 percent.